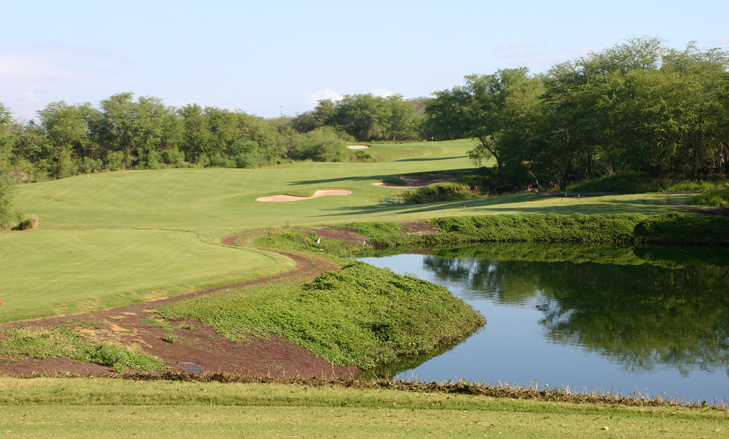 Makena Resort North Golf Course Hole 4: A pretty, downhill par three over a lake requires pin point accuracy as the green, although long, is very narrow, with bunkers on either side. 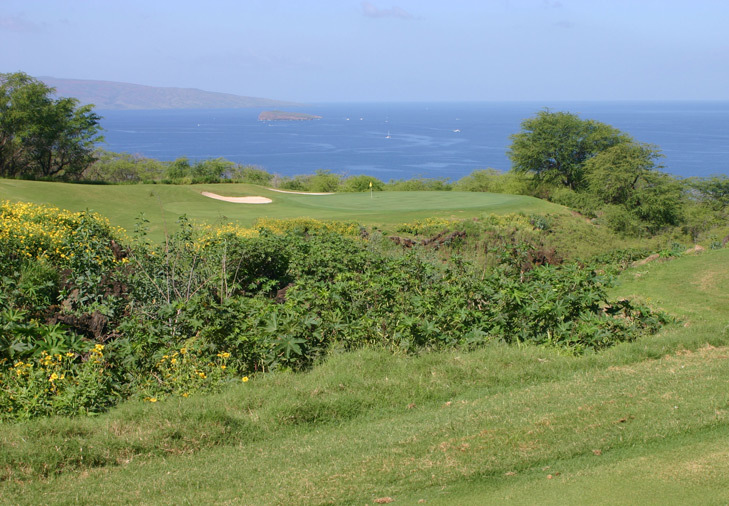 Makena Resort North Golf Course Hole 6: One of the greatest short par fours in the world features a fairway split by a canyon that creeps up to the right side of the green. The safe drive to the right fairway leaves an approach over the canyon and a bunker to a green that is only 22 yards deep from that angle. The aggressive drive will carry the left side of the canyon and a bunker over 200 yards, leaving a short iron to a much longer green from that angle. Makena Resort North Golf Course Hole 8: Another well designed and visually pleasing par four, the drive here should clear the cross bunkers to leave a good angle to the green. The drive that goes left will be left with a much more difficult shot over the steep slope fronting the left side of the green. Makena Resort North Golf Course Hole 11: From the tee, this hole appears to be an uphill par four, which the drive, at least, is. The two bunkers on the right (and the hillside to their right) must be avoided, and cleared if possible. 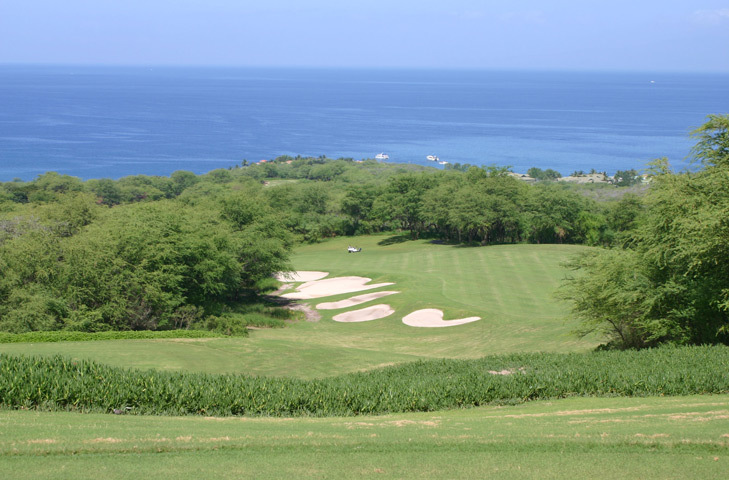 From the top of the hill, the hole changes dramatically as the fairway slopes gently down to a green that seems perched above the South Maui coastline. Visually, this is one of the most outstanding holes on the islands. 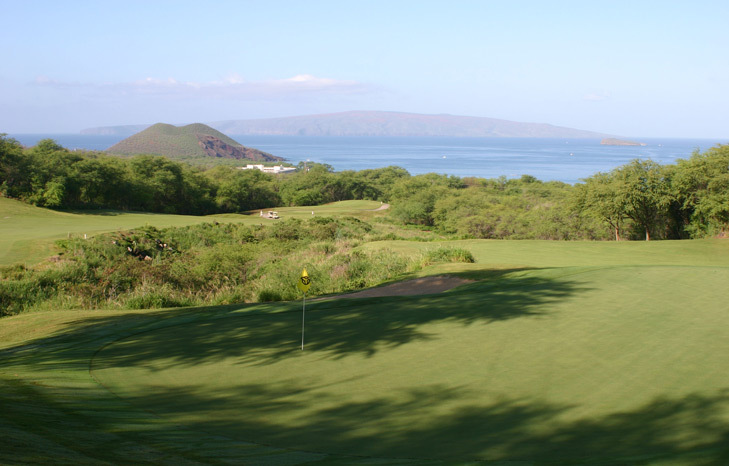 Makena Resort North Golf Course Hole 12: This downhill par three has great views of the ocean, and the obvious danger that awaits the shot. Anything short or right is dead. 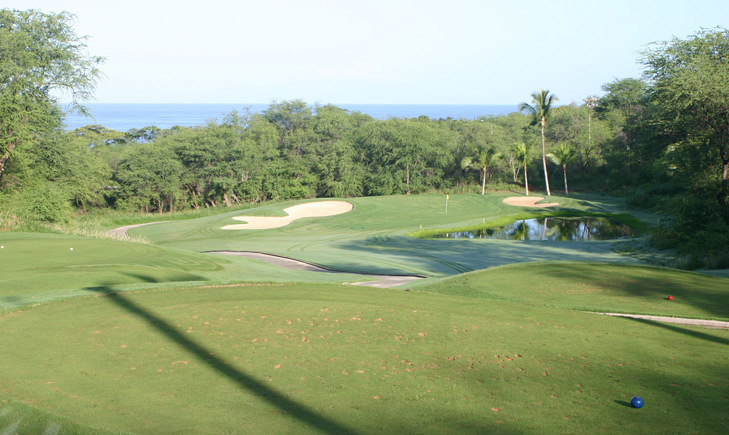 Makena Resort North Golf Course Hole 14: This 600+ yard par five is way downhill. The driver can be pulled out with ridiculous hang time. From there the hole turns left through a relatively narrow shoot down to the green.